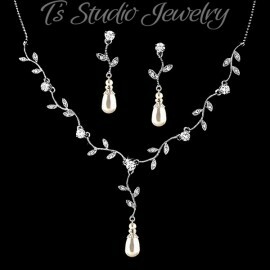 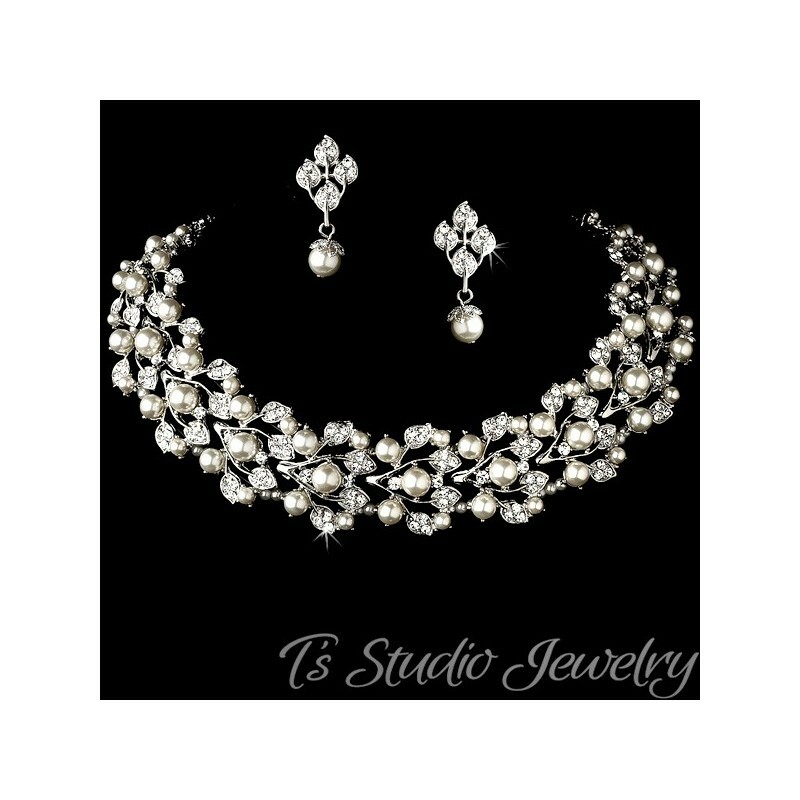 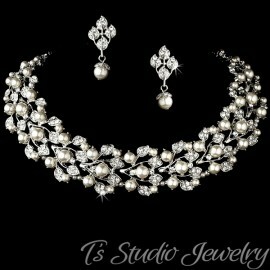 This beautiful pearl and rhinestone crystal necklace and earring set makes the perfect accessory for any special occasion. 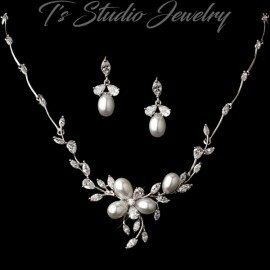 It is made with a floral and leaf motif base, that is encrusted with tons of sparkling clear crystals and pearls. 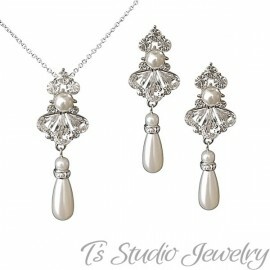 Matching earrings complete the set. 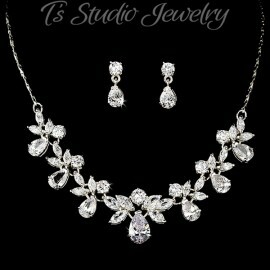 Necklace measures 13.5", with a 3" extender. 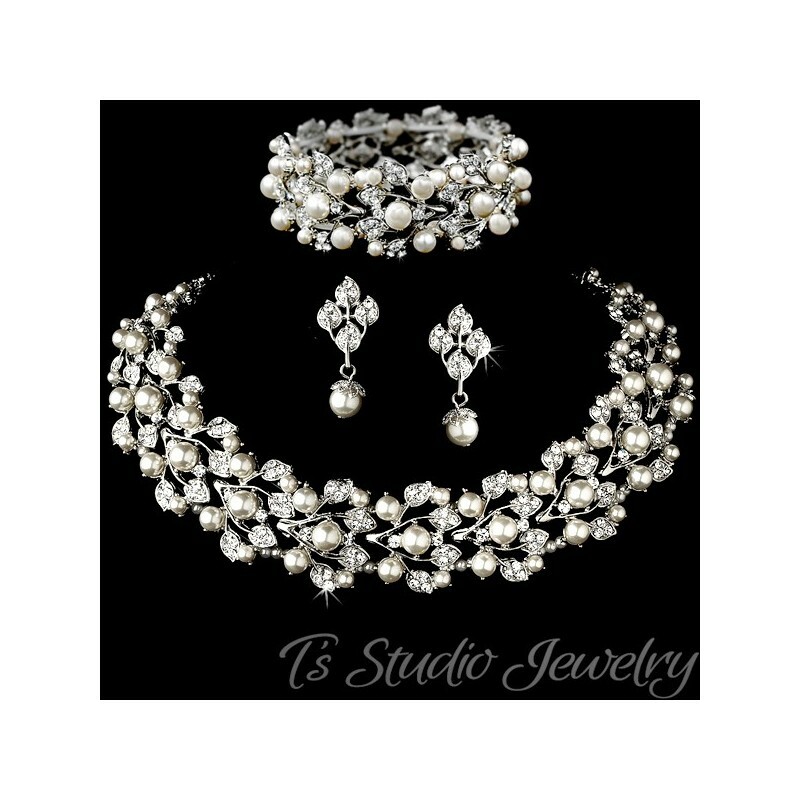 Also sold as a 3-piece set with necklace, earrings and bracelet.